Join us for one or a series of our Mini Beyond Beauty Care Workshops! Loved my facial. My skin is so glowy. Can’t wait to come back and try the makeup! ~ Megan H.
I came here just expecting a facial and left with so much more!! Not only was everyone super awesome but very knowledgeable. The facial was a very relaxing and pleasant experience. The shop itself is super cute and clean. Ginamarie gave me a tour. If it weren't for buying the LivingSocial coupon I would have not known this was here. I will be back! I cannot say enough about it. ~ Karin B.
I have been using Ginamarie Products since the 1980s. I have enjoyed them greatly, and I am fully pleased with them. Gina's mom, Filomena Arends, the original owner and also a former Skin Instructor at the Vo-Tech School in Naples, Florida helped me with my skin problems I was having at that time. She performed the most thorough and deep facials on my face to get rid of all the toxic substances from my skin. After several of those facials and using her great products my skin was completely clear and smooth. 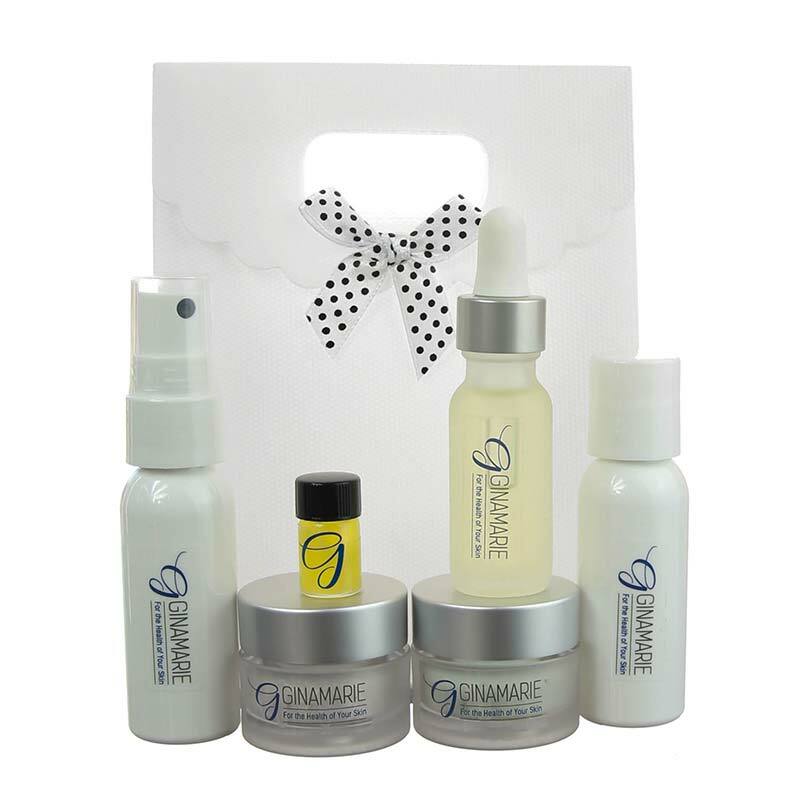 I then got rid of all my previous skin products, and started using what I call their "magic" Ginamarie skin products . 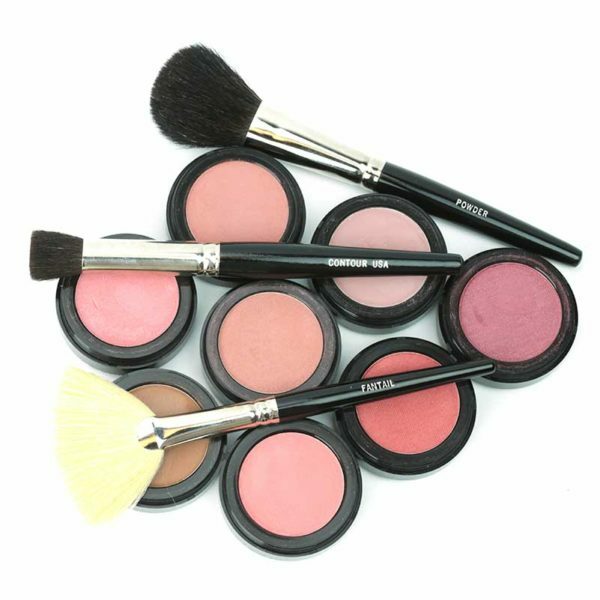 Some of the products I use daily are Liquid Loofah Cleanser, foundation, blush, etc. etc. They produce the best skin products on the market. I would not buy any other skin products but Ginamarie. Also, they have an outstanding customer service department who make sure products are delivered promptly. I am blessed to use this skin product line for over thirty years and that they are made in the United States of America. I was introduced to these products as a licensed cosmetologist while attending a CE class on Skin Care and Cosmetics. I learned that cleansing properly and applying "clean" cosmetics, which do not contain heavy oils that weigh down skin and clog pores, are best for the skin. I am still enjoying my morning routine of Hydrating Mist, Herbal E Oil, then Rejuvenation Crème, makes my skin feel great! I have been using these products for 10 plus years! I love being able to get questions answered and catching up with Gina when I can. This is a Great Company. I have been a Ginamarie user for a very long time. I love the Herbal E Oil, Rejuvenation Crème, Liquid Loofah Cleanser, Toning Treatment, Liquid Foundation, Lipsticks. I am 74 year old woman and attribute my smooth face to all the Ginamarie Products I currently use. Thank you Ginamarie for this great product line. I am a man that has been using your products since 1990! It was a stage make-up class I was required to take when getting my theater degree that led me on a search for skin care products. The harsh make-up and the inability to get it all off was quickly, not only aging my face, but ruining my skin! Ginamarie's Liquid Loofah Cleanser did the trick! And even years later, I find it to be the only product that keeps my skin healthy and clean. I don't know what I do without it! Two day camp dedicated to inspiring adolescent minds on what it means to be strong, beautiful, and confident young women. Once a month our beauty experts will share their passion on skincare, cosmetics and beauty. Their monthly posts, pictures and videos will give you tips on caring for the needs of your skin, make-up application, fashion and so much more.